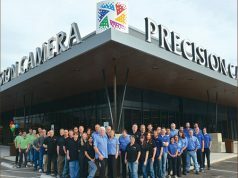 Jackson, MI—PMA launched a comprehensive advertising and promotion campaign designed to drive tens of thousands of photo enthusiasts to The Big Photo Show, to be held May 4–5, 2013, at the Los Angeles Convention Center in Los Angeles, California. In addition, the first national photo contest of The Big Photo Show was announced. PMA’s multitiered campaign—being implemented in several phases through the beginning of The Big Photo Show—was strategically designed, under the direction of two proven event marketing firms, to reach the target market of The Big Photo Show: photo enthusiasts and advanced amateurs. 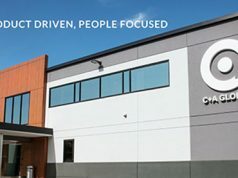 The strategy includes TV, radio, print and outdoor advertising; social media, blogs, web and e-mail marketing; promotional signage, materials and incentives supplied to local photo retailers; and a national photo contest with valuable prizes, including a grand prize trip for two to Los Angeles to attend The Big Photo Show. TV ads alone for The Big Photo Show, airing on the top four television stations in the Los Angeles market, have an expected minimum reach of 20 million impressions. Radio ads have an expected minimum reach of an additional 13 million impressions. In terms of social media, The Big Photo Show will be touted though Facebook, Twitter, Google AdWords, YouTube and more. Further, LA residents will see The Big Photo Show on more than 100 billboards and other displays scattered across the market area. More than 20,000 photo enthusiasts are expected to attend The Big Photo Show in Los Angeles, which is the first in a new series of PMA events that will be held regularly in different cities across the United States. The second show will take place in the Chicago area in September 2013. The Big Photo Show will offer exhibits from imaging suppliers, retailers and service providers, as well as educational opportunities for attendees offered by professional photographers, framers and other experts. Among many other things, attendees will learn how to take better photos, what new innovations are available in equipment and services, and the newest ways to creatively display their images. 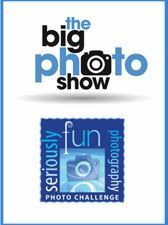 For more information about exhibiting or sponsorship opportunities at The Big Photo Show, contact Jeff Frazine at jfrazine@pmai.org. The Big Photo Show’s “Seriously Fun Photography Photo Challenge” is now seeking entries from photo enthusiasts at all levels from across the U.S. The contest is open to anyone 18 years and older who loves taking pictures. Entries are being accepted online now through March 31, 2013. Online voting for the people’s choice winners will take place March 25–April 8, and judging by a panel of three professional photographers will take place in early April. Winners will be announced April 9, 2013. All winning entries, along with other top submissions, will be on display at The Big Photo Show. The grand prize is a free trip for two to Los Angeles to attend The Big Photo Show, as well as a Samsung NX20 camera; and if this winner learned of the photo contest through a local photo retailer, that retailer will win a free trip for two to The Big Photo Show. Additionally, in the professional judging category, second prize is a Sony NEX-3N camera and a $100 Artsy Couture gift certificate; third prize is a Lensbaby Scout with fisheye lens and Cottage Mills photo gift items; and fourth prize is a Tabelz laptop accessories kit and a Portrait Weavers full-size tapestry blanket. All winners will also receive a Hufa lens cap clip. For people’s choice winners, first prize is LumaPix FotoFusion Extreme software, an ivoke full-wrap personalized phone case and an ivoke 20×30-inch HD aluminum panel. Second prize is a Promote Control Systems advanced remote control with accessories, as well as a 16×20-inch metal print from Fullerton Photo. Third Prize is a GigaPan Epic camera mount and a PNY 32GB Pro-Elite Plus UHS-1 memory card. All winners will also receive a Hufa lens cap clip.